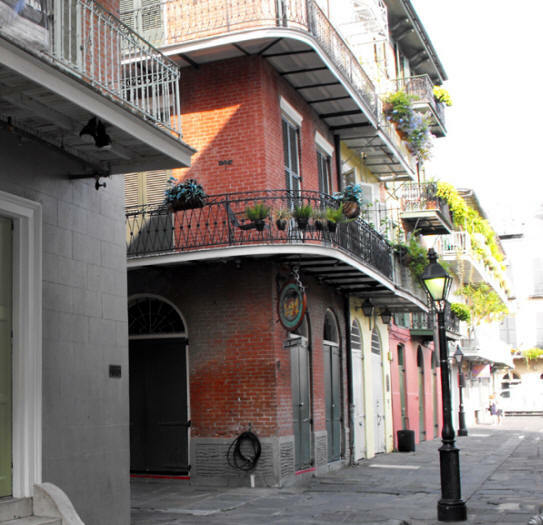 Next time you visit New Orleans, take yourself on a "Writer's Tour" and visit some of the places made famous by the greatest literary minds of their time. Francis Parkenson Keys was born Frances Parkinson Wheeler in Charlottesville, Virginia. She married Henry W. Keyes a U.S. Senator and later governor or New Hampshire. After his death in 1938, Keys wrote prolifically. 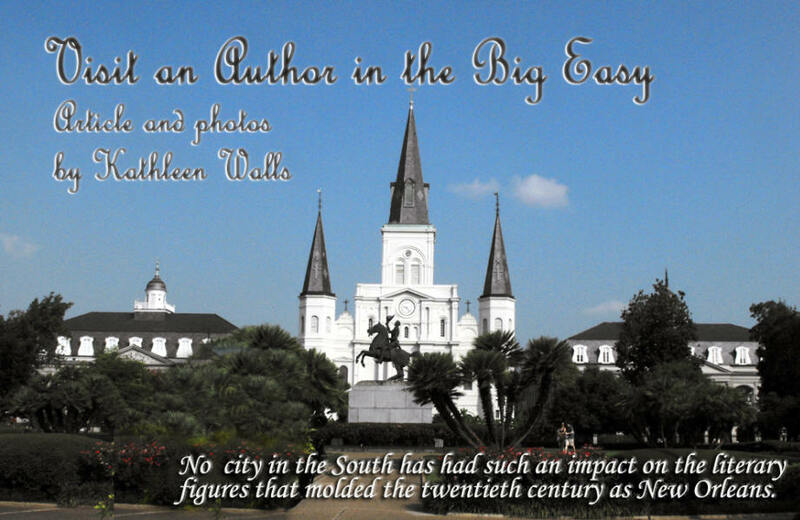 Many of her Louisiana novels are related by common background and characters that recur in different novels. Keyes died in 1970, at the age of 84, in New Orleans Some of her Louisiana noivels are Crescent Carnival (1942), The River Road (1945), Came a Cavalier (1947), Dinner at Antoine's (1948), Blue Camellia (1957), The Chess Players: A Novel of New Orleans and Paris (1960) and Madame Castel's Lodger (1962). 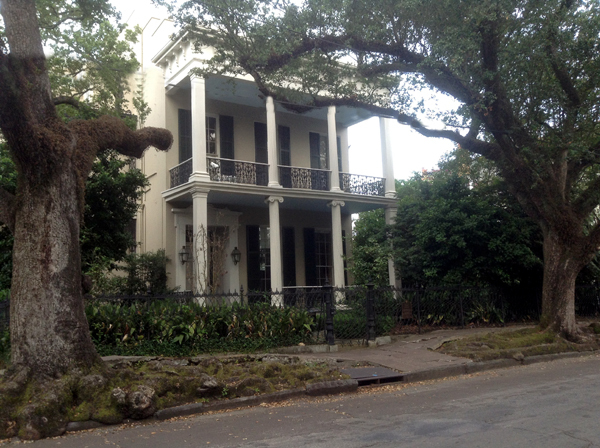 Tennessee Williams lived in New Orleans at 722 Toulouse in 1938. It is the setting of his 1977 play Vieux Carre. Although his famous A Streetcar Named Desire was written in Chapala, Mexico, nine years later, it clearly reflects his New Orleans experience. Born in Mississippi, Williams came to New Orleans to write for the WPA. His earlier years had been a succession of unsuccessful jobs. New Orleans suited him. There he worked as a waiter to supplement the meager pay his writing earned in those early days. In 1944 he commented in a newspaper interview, "My salaries have ranged from $50 a month to $250 a week but I preferred the $50 job because it enabled me to live in New Orleans." By 1957 he had reached the pinnacle of his success as a playwright. He recalled his surjourn in New Orleans as a happy time. An article in Tennessean Magazine quoted him as saying: " New Orleans is my favorite city of America . . . of all the world, actually." By 1959 he had earned two Pulitzer Prizes, three New York Drama Critics' Circle Awards, three Donaldson Awards, and a Tony Award. In 1979, four years before his death, he was inducted into the American Theater Hall of Fame. Besides the Toulose St residence he lived at several other eplaces in New Orleans: 429 Royal St., 632 St. Peter St. and 1014 Dumaine St. None of his residences are open to the public. 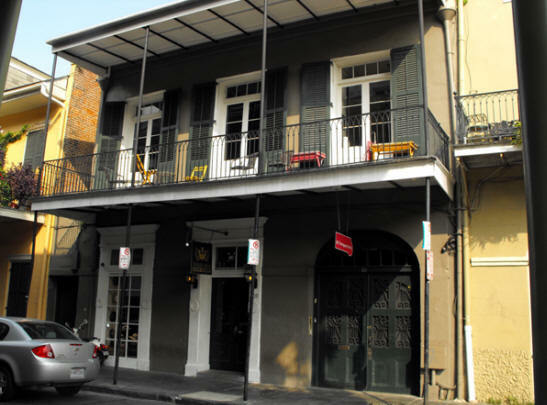 William Faulkner, Like Tennessee Williams was born in Mississippi however he lived at 624 Pirate's Alley when he wrote his first novel, Soldiers' Pay in 1925. The house is a three-story, narrow building with wrought iron alcoves that today houses Faulkner House Books on ground floor and private apartment above. Falkners description of the house reads " . . . [it] faces the garden behind St. Louis Cathedral. The Catholics, you know, have a Mass each hour . . . Across the garden is the house where the priests live . . . The nuns live in a wing of the same house--a convent. Between Masses the little choir boys in their purple robes and white surplices play leapfrog in the garden, yelling and cursing each other, then go back inside and sing like angels." As a youth, he was heavily influenced by war stories he heard from the old men of Oxford and the stories told to him by Mammy Callie, his African American caretaker about events in the Civil War, slavery, the Ku Klux Klan, and the Falkner family. Faulkner's grandfather was also a strong influence with tales of William's great-grandfather, for whom he was named, William Clark Falkner, a businessman, writer, and Civil War soldier. Thus is is no wonder his most famous works are novels and short stories set in the fictional Yoknapatawpha County, which was based on Lafayette County, Mississippi, where he grew up. Some of his best know work includes A Fable (1954), The Reivers (1962), Absalom, Absalom (1936), The Sound and the Fury (1929) , As I Lay Dying (1930) and Light in August (1932). Truman Capote was born in New Orleans in 1924. He claimed to be born at the Hotel Monteleon and the hotel later named a suite in his honor. However when I visited the Monteleon and interviewed Andrea Thornton, then director of Sales and Marketing, she told me, "Capote was actually born at Touro Infirmary." Writers with troubled souls seemed especially drawn to the Monteleone. (For more about the Monteleon click here) William Faulkner, Tennessee Williams, Truman Capote and Ernest Hemingway all spent time there. Williams immortalized the hotel in his The Rose Tattoo. 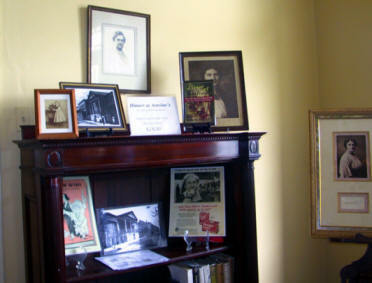 Because of its strong literary heritage, Friends of Libraries USA designated the hotel a Literary Landmark. Only three other hotels share this honor; New York City's Plaza and Algonquin hotels and San Antonio's Menger Hotel. Capote's 17 year old mother, Nina, and first husband, Archulus Persons, did live at the hotel at the time of his birth. Capote had a very traumatic childhood and claimed to have been locked in the suite at the hotel where he would scream and cry to be let out. He also recounted an episode of being lost at Mardi Gras when he was 5 years old and spending the night at the police station before his mother retrieved him the next morning. Capote was never a fan of Mardi Gras in later life. The family soon moved to 1801 Roberts Street, on the other side of town. When Capote was very young his parents divorced and he was sent to Monroeville, Alabama to live with her family. 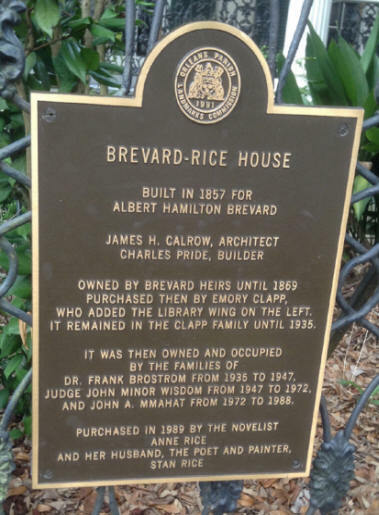 He began writing seriously at the age of 11 and at 19 returned to New Orleans and rented an apartment at 711 Royal. It was here he began his first semi-autobiographic novel, Other Voices, Other Rooms. The novel in part tells of a young boy coming to terms with his homosexuality. He returned to New Orleans many times throughout his life and In a 1981 interview by People, he is asked, "Why doesn't he move back to his beloved New Orleans? 'Well, when Oscar Wilde was leaving England, someone said to him, 'Why don't you go live in Venice? You've always loved it so.' He said: 'What? And be a monument to tourists?' Well,' concludes Capote, 'that's the way I feel about New Orleans.'" His most famous books are Other Voices, Other Rooms (1848), Breakfast at Tiffany's (1948) and In Cold Blood (1965). 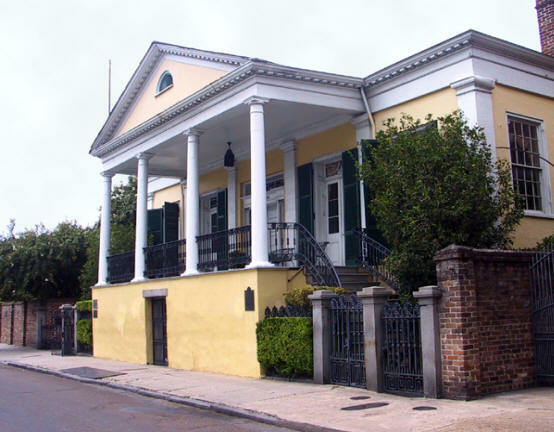 George Washington Cable (October 12, 1844 – January 31, 1925) His home at 1313 8th Street, in the Garden District He lived there in 1874 to 1884 and was known to have entertained his friend, Mark Twain, there. The house was named a National Historic Landmark in 1962. He is best known for his portrayals of Creole life in New Orleans, Louisiana. Often called "the most important southern artist working in the late 19th century, as well as the first modern southern writer," his work is considered to foreshadow William Faulkner. His books revolved around racism, mixed-race families and miscegenation. Although he had served in the Confederate Army and came from a slaveholding family, his works dealt with inequality and Jim Crow laws. Because of his stand on racial equality, he moved away from New Orleans to Massachusetts and later Florida. Think of vampires and the first name that comes to mind is Anne Rice. Anne, who's birth name was Howard Allen Frances O'Brien, was born in New Orleans. She and her family lived in the rented home of her maternal grandmother, Alice Allen, at 2301 St. Charles Avenue in the Garden district. She remained in New Orleans until the age of sixteen when her father moved the family to north Texas after her mother's death and his remarriage. She began using the name "Anne" on her first day of school. One of her teachers asked her what her name was. She told the nun "Anne" and she remained "Anne" to everyone she knew. In 1947, she legally changed her name to "Anne." She married Stan Rice in Denton, Texas, shortly after her twentieth birthday. She wrote Interview With The Vampire which was published in 1976. Much of the book is set in New Orleans. In 1988, Anne and her husband purchased 1239 First St. In the old Irish Channel section and returned to New Orleans. In 2014 she published Prince Lestat the eleventh book in her Vampire series and is currently working on the next one, Blood Paradise. ShShe currently lives in California in order to be closer to her son. So many other great writers have ties to the Crescent City including Lillian Hellman, So many other great writers have ties to the Crescent City including Lillian Hellman, F. Scott Fitzgerald, Walker Percy and others that this article could go on forever. Instead why not go visit the City That Care Forgot and search out New Orleans literary connections for yourself.